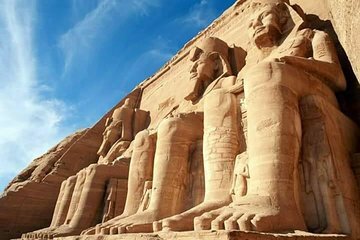 Dive deep into Egyptian history and culture on a stress-free 11-day tour. The all-inclusive trip includes land transportation, as well as domestic airfare. Cross ‘book hotels’ off your to-do list, as 10 nights at 5-star accommodation is covered, including a 5-day luxury cruise. You’re also able to avoid tourist trap restaurants, since all meals are provided. All you need to do is follow your guide and enjoy the adventure.